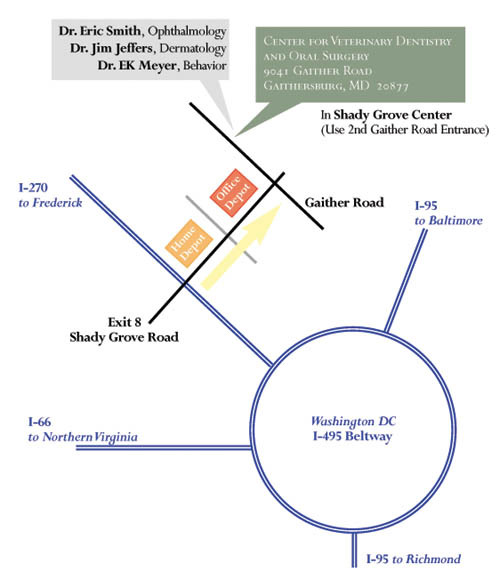 Take Exit 8 Shady Grove Road and bear right when approaching Shady Grove Road. Turn left at the second traffic light (Gaither Road) where there is a 7-Eleven on the corner. Enter the second Shady Grove Center entrance and proceed to suite 9041. Take Exit 8 Shady Grove Road and bear left when approaching Shady Grove Road. Turn left at the 3rd traffic light (Gaither Road) where there is a 7-Eleven on the corner. 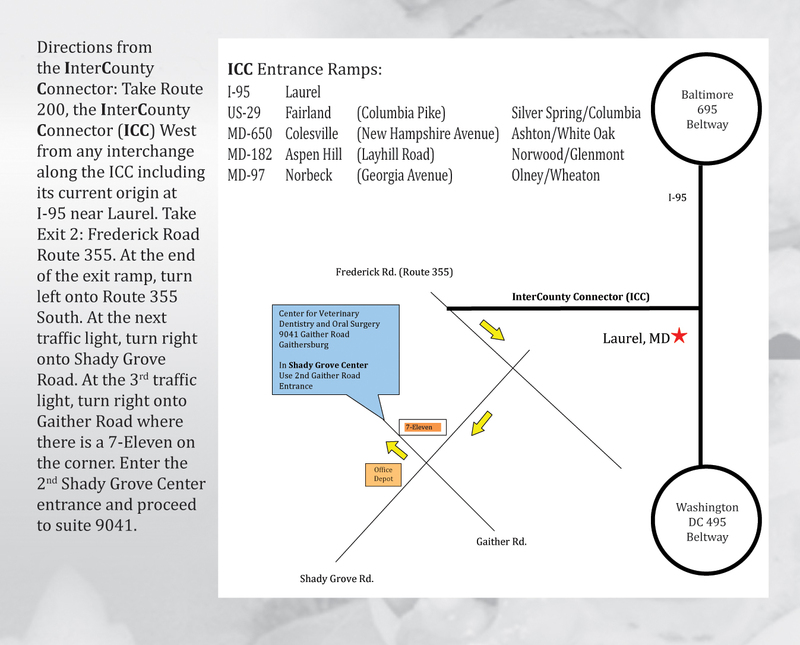 Enter the second Shady Grove Center entrance and proceed to suite 9041.